As the government of Canada has introduced a program named Provincial Nomination Program (PNP) through which provinces and territories of Canada can select interested migrants. This year, the provincial immigration streams in Prince Edward Island, Saskatchewan, Ontario and British Columbia have set a record of issuing the most number of invitations in October. Most of the immigration streams are linked to federal Express Entry Program. Express entry program manages the applications of Candidates through the three immigration program. 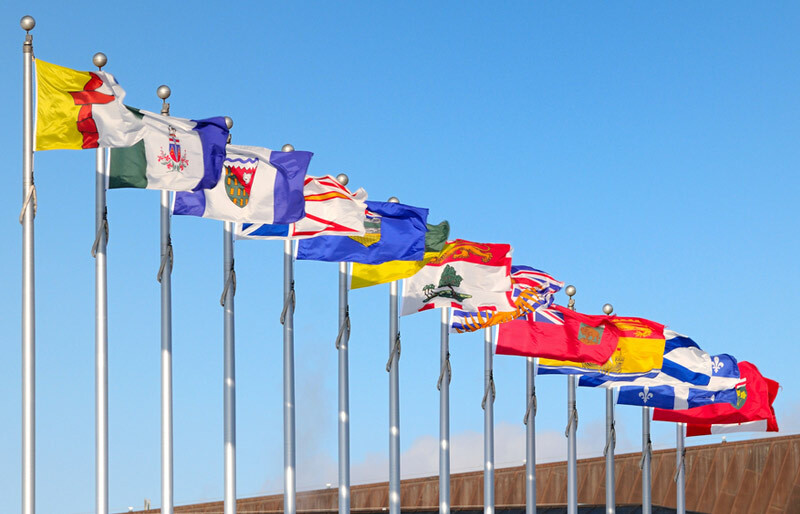 Express Entry applicants who receive a provincial nomination get an additional 600 points toward their Comprehensive Ranking System (CRS) score. The CRS is a point based system that determines the eligibility of a Candidate. This additional point is like a benefit as it guarantees an Invitation to Apply for Canadian permanent residence. Know more: What is the Comprehensive Ranking System (CRS)? The Express Entry-linked immigration stream of Prince Edward Island does not require candidates to have a job offer in order to apply for immigration to Prince Edward Island. A total of 270 invitations to apply were issued through the Provincial Nomination Program (PNP) by the Prince Edward Island in the draw held on October 18, while a total of 152 invitations to apply were issued in the last draw that held in April. The PEI PNP employs an Expression of Interest (EOI) system typically requires interested candidates to submit a profile detailing their work experience, education, language skills and other factors. Profiles of candidates are given a score that score is based on the details provided by the candidates. After this, eligible profiles are entered into the pool of candidates for the selected category. The high scored candidates are then invited to apply for the provincial nomination for permanent residence through monthly draws. This draw was held on 10 October in which a total of 359 invitations were issued to the candidates under the Saskatchewan Express Entry sub-category. The lowest score for this subcategory was 60 that means the lowest-ranked had a score of 60 under Saskatchewan’s point assessment grid and a total of 494 invitations were issued to the candidates under the Occupations In-Demand sub-category of Saskatchewan. The lowest score for this subcategory was 63. Express Entry candidates must also have work experience in a high-skilled occupation that’s considered in-demand in the province. Ontario has three Express Entry-linked streams to select interested and eligible migrants. A total of 439 invitations to apply for a provincial nomination for Canadian permanent residence were issued through Ontario’s Express Entry-aligned Skilled Trades Stream on October 19. This was by far the most invitations issued in a single draw this year through the stream, which has now issued 1,445 invitations to apply for a provincial nomination from Ontario to Express Entry candidates in 2018. A total of 472 invitations to candidates were issued through Skills Immigration and Express Entry categories of British Colombia. This was the largest draw held on October 17. The British Columbia Provincial Nominee Program (BC PNP) holds draws approximately every two weeks for candidates in the Skilled Worker, International Graduate and Entry Level / Semi-Skilled categories of its Skills Immigration Stream. The candidates who want to apply for the British Columbia Provincial Nominee Program (BC PNP) must first register through the Skills Immigration Registration System (SIRS). Know about: What is Express Entry Canada?